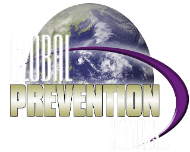 At Global Prevention Services, Inc. we solve and prevent mold problems. We process and treat your home, business or any contained space with our exclusive PureSpace® process and products. We do not sell our product, it must be applied by our trained and certified technicians. We provide complete solutions, not partial fixes. For complete treatments our industry-best warranty is your assurance of a job well-done. 1. Preparation of the work site to both protect your contents and to contain the environment. Proper attention is paid to secure the project area to control the site for safety and to ensure the best possible final results. For those instances where building materials have been irreparably damaged and should be removed and replaced, Global will advise its clients accordingly. This process is similar to "washing and waxing" your car. Global will treat the project surfaces to include wood, molding, floors base boards, drywall and more to thoroughly remove existing contamination. This controlled application then seals the appropriate surfaces and provides protection for long-term and comforting peace-of-mind. This is critical step creates the bonded shield that separates the contaminant from its food source, severely limiting the organisms' ability to thrive and amplify. For the issuance of our insurance-backed warranty, our clients engage independent environmental professionals to take samples of the air inside and outside of their property, sometimes before, and always after the process have been applied. An independent laboratory conducts the analysis of the readings and reports whether the building values are within 'normal and acceptable ranges.' Upon completion of this process you will know, and be assured, that your environment is as clean and healthy as humanly possible. Your warranty, if applicable, will be issued upon receipt of acceptable test result(s). The risk for major, disruptive and costly remediation will be mitigated as will the concern for current and future health concerns.